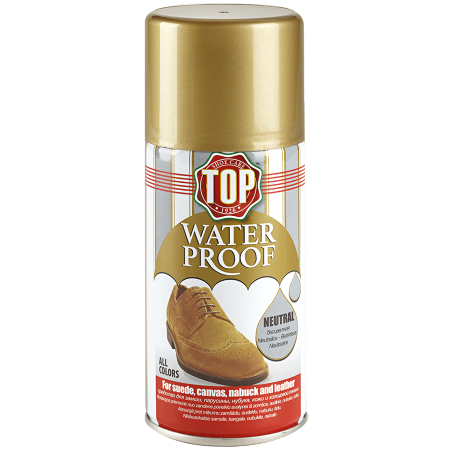 Waterproofing spray for shoes, bags and other suede, skin, leather and canvas objects. Protects the treated surface from stains. Skin, suede, leather, eco leather, canvas, nubuck. Formula containing active substances not soluble in water suitably distributed to the affected area makes it water repellent.